Was established on July 11, 1969 upon the approval by the Secretary of Education in response to the utmost request of the Provincial Board of Rizal, headed by the Governor Isidro S. Rodriguez, to put up a higher education institution in the Province of Rizal. It was first known as the College of Rizal. The College of Rizal opened its classes on July 14, 1969 with course offerings in business administration, education and liberal arts. On March 20, 1975, the College of Rizal in Pasig and Rizal Technical High School in Mandaluyong, both situated in the Province of Rizal, were merged and converted into the Rizal Technological Colleges by the virtue of Presidential Decree (PD) No. 674 The decree authorized the expansion of curricular programs and promotion of researches in the development and conservation of natural resources in the Province of Rizal. This Decree broadened the support and strengthened the organization of the College. In 1975, upon the establishment of the Metropolitan Manila Commission, Pasig was transferred to the territorial jurisdiction of the MMC. The Province of Rizal could not continue supporting financially the Colleges. Several alternatives were proposed to save the RTC. 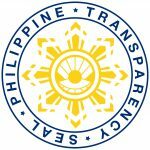 One was to transfer the management and administration of the RTC to one of the existing towns in the Province of Rizal or Metropolitan Manila. The worst possible alternative was to phase out the Colleges. The leadership, the faculty, and the studentry of the Colleges would not allow this to happen, however, so they worked out the possible nationalization of the RTC. Through the support of then Metropolitan Manila Governor Madam Imelda Marcos, the RTC constituency, with the Kabataang Barangay School Chapter of the RTC led by Dr. Jesus Rodrigo F. Torres, and the Collegiate and High School Faculty Clubs at the forefront of the struggle for survival, President Ferdinand E. Marcos signed into law Presidential Decree 1341-A on April 1, 1978 converting the Rizal Technological Colleges into a State College. The decree, however, was received only on October 13, 1978; thus, the RTC has been celebrating its College Week, and later its University Week on the days centered on October 13. After 19 years, the College was converted into the Rizal Technological University on October 11, 1997 by virtue of Republic Act No. 8365. The University is tasked to provide highly professional, scientific, technological and special instructions in the fields of engineering and technology, education, business and entrepreneurial technology, and the programs; and promote research, extension and advance studies in its areas of specialization. Through its Cooperative Education Program, it shall continue to lead in the provision of work- integrated learning through partnership with industry and involvement of students in civic activities. Today, RTU has six campuses. The main campus is located at Boni Avenue, Barangay Malamig, Mandaluyong City. Other campuses are situated in Barangay San Miguel, Pasig City; Barangay San Roque, Antipolo, Rizal; Barangay San Salvador, Baras, Rizal; Kawit, Cavite; and Palauan, Occidental Mindoro. RTU is the first state university in Mandaluyong City and Pasig City, Metro Manila and in the provinces of Rizal and Occidental Mindoro. The University has been placed under the stewardship of six administrators: As College of Rizal – Dr. Jose M. Singson, Executive Dean (1969); Dr. Marcial Renosa, Acting Executive Dean (1969-1974); and Dr. Lydia M. Profeta, Executive Dean (1974-1975). As Rizal Technological Colleges (locally funded) – Dr. Julio Balmes, Officer-in-Charge (1975-1976) and Dr. Lydia M. Profeta, Executive Dean (1976-1978). As Rizal Technological Colleges (state college, nationally funded) – Dr. Lydia M. Profeta, Acting President (1979-1986); Dr. Josefina V. Estolas, Officer- in- Charge (1986-1987) and College President (1987-1993), Dr. Jose Q. Macaballug Officer-In-Charge (1993), College President (1993-1997), and First University President (1997 to date), Dr. Jesus Rodrigo F. Torres Second University President. Today, RTU has the distinction of being the first educational institution in the Philippines to utilize Cooperative Education as a curriculum plan which is recognized by various industries, businesses and agencies all over the country. Aside from being the pioneer of several innovative academic programs in the Philippines, such as Doctor of Technology Education, Master of Science in Engineering Education, Instrumentation and Control Engineering, Computer Engineering, and Instrumentation and Control Technology, the University has established itself as National Instrumentation and Control Center and Welding and Research Training Center. It also has been the pilot school of Technology Resource Center under the Ministry of Human Settlements and now a member of the school network implementing the Engineering and Science Education Program (ESEP) of the Philippines. At present, RTU rises as a state university that will unceasingly fulfill its mission, vision, goals and objectives.